Know more about which is the best tablet for kids. Read the product review on the most recommended tablet that is suitable to your child’s age and progress. While we consider the products of modern technology like Laptops, netbooks, smartphones, tablets and more as adult toys, kids’ cannot help but get excited over it as well. Their curiosity about these gizmos cannot be satisfied by just looking at it. Like us, they want to explore every bit of it, but since we know how kids are with their stuffs, we tend to shun them from playing with our so called toys. Fortunately, there are techno gadgets such as tablets that are designed specifically for kids. As you may know, there is a growing market for kiddie tablet so before you get your child one of their own there are certain things you have to be vigilant about. Product Durability: It should be able to withstand rough handling like accidental drops. Keep in mind that in the eyes of your child it is just like any other toy so expect that they will treat it as such. Appearance: As much as possible, it should have a certain look and feel comparable to an adult gadget in terms of size, screen and video resolution. Otherwise, they would easily lose interest on it. Performance: It’s a known fact that kids get bored easily, so be sure to choose the one that is fast enough to cope up with their interest and keep them entertained. Pre-installed Apps: Make sure that the factory installed apps are all age-appropriate. Which is the best tablet for kids? This kid tablet looks and functions like a “phablet”. It is appropriate for ages 3-9 years old. It has a kid-safe browser and a “Parental Control” (password protected) feature that allow parents to add and approve additional websites for their kids. It comes with 20 pre-installed apps (you may download additional apps from VTech’s site), MP3 player, video recorder, calendar, clock and more. 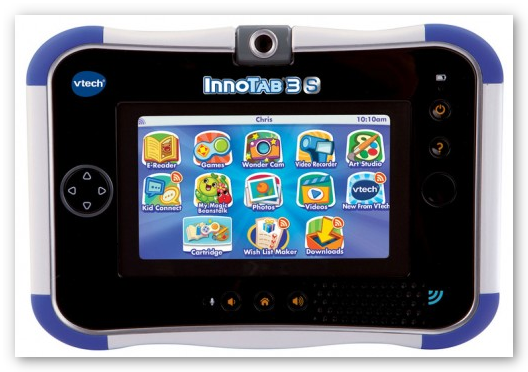 What makes InnoTab 3S so interesting is its capability to interact with Android and iOS devices (provided you install VTech Kid Connect App on your device). When Wi-Fi connected, it can send/receive text and video messages including pictures and drawings to and from Android or iOs device so you and your kid can stay connected all the time. Good To Know: Vtech also provides an excellent after sales and customer support care. 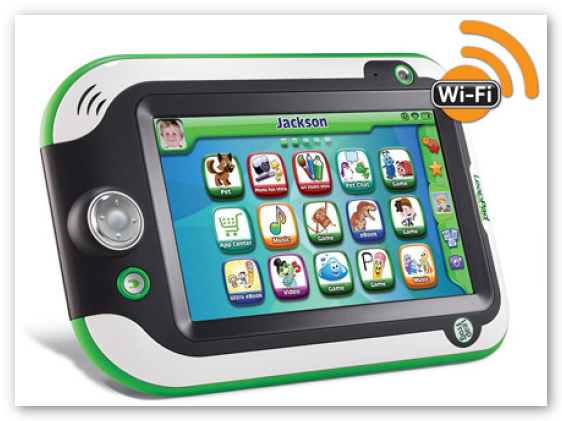 LeapPad Ultra is a stylish kiddie tablet is recommended for kids 4 to 9 years of age. With a screen size of 7”(hi-res), it feels as every bit of an adult tablet. On top of 11 pre-loaded apps and a lot of exciting features, like InnoTab 3S, it also includes a secure browser (LeapSearch) that allows kids to navigate and explore the internet safely. You may also download and install apps via LeapPad’s App Center or buy a LeapPad game or educational cartridge. Product Specs: 7” screen (1024×600 res), 8 GB internal memory, 2 cameras (2 megapixel), built-in Wi-Fi and powered by 800 MHz processor. 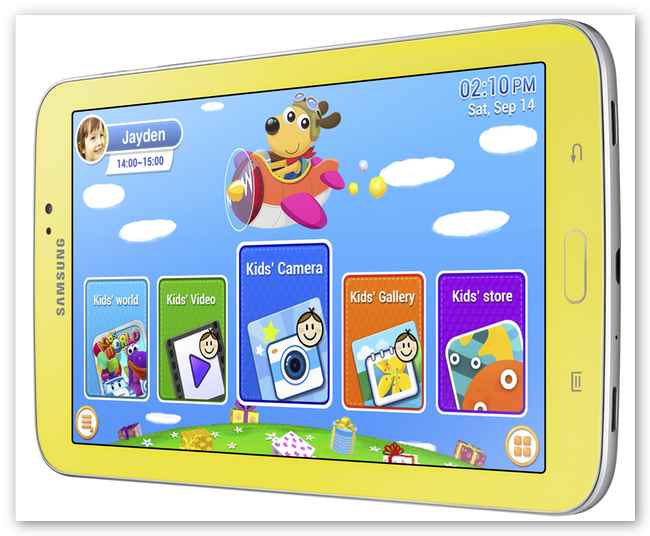 This is Samsung’s take on the child-friendly tablet market. Basically, it is very much the same as the original Samsung Galaxy Tab with a more colorful appearance and casing for extra protection to make it tough. It comes with pre-installed popular kiddie apps and parental controls for added security. Additionally, it runs on Android Jelly Bean 4.1 so you can download more apps from Samsung Kid’s Store side by side with Samsung Apps. There also optional accessories you can purchase like the easy-grip case that comes with a stylus (C pen) for a more enjoyable drawing experience. Product Specs: 7” screen (1024×600 res), built-in Wi-Fi and Bluetooth, 8 GB internal memory, 1 GB ram, 2 cameras (1.3 megapixel front and 3 megapixel rear) and 1.2 GHz dual core processor. Good To Know: Since Samsung Galaxy Tab 3 kids supports video playback in MP4, WMV and DivX format, you can download and convert various movies and shows from Disney using AVGO Free Video Downloader. Click here to find out how you can download Disney videos for FREE! Download AVGO Disney Video Downloader now! Surprised?! Well, iPad Mini is not really a kiddie tablet per se yet it is still a top contender for the best tablet for kids. 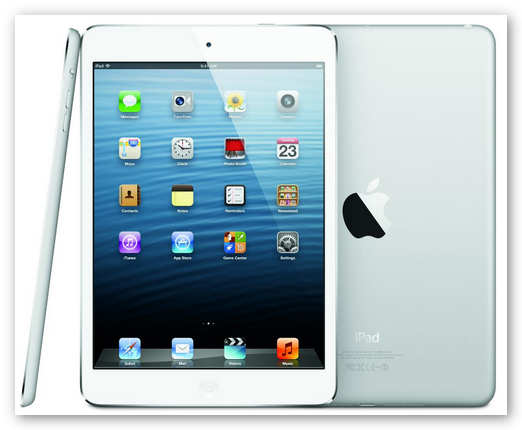 Equipped with the proper knowledge, you can easily make iPad Mini a kid-friendly tablet. Hence, this multi-funtional device can definitely reign on both tablet markets for adults and kids alike, but it is more suitable for older kids, preferably between the ages of 9 and beyond. Click here to know more on how you can make iPad Mini kid-friendly. Good To Know: You may use the following AVGO freeware, Free DVD Ripper, Free Video Converter, Free Video Downloader and Free iPad to Computer Transfer program to maximize the features and capabilities of iPad Mini.